The Steel Club in Hellertown, Pennsylvania is the latest golf facility to welcome disc golf to its fairways. Located in the disc golf rich Mid-Atlantic, the Steel Club will give disc golfers a taste of the country club life. Generally, disc golf courses are low on amenities, but this is not the case at the Steel Club. Food, drinks, golf carts, and an immaculately maintained property will give disc golfers a different experience than they may be used to. 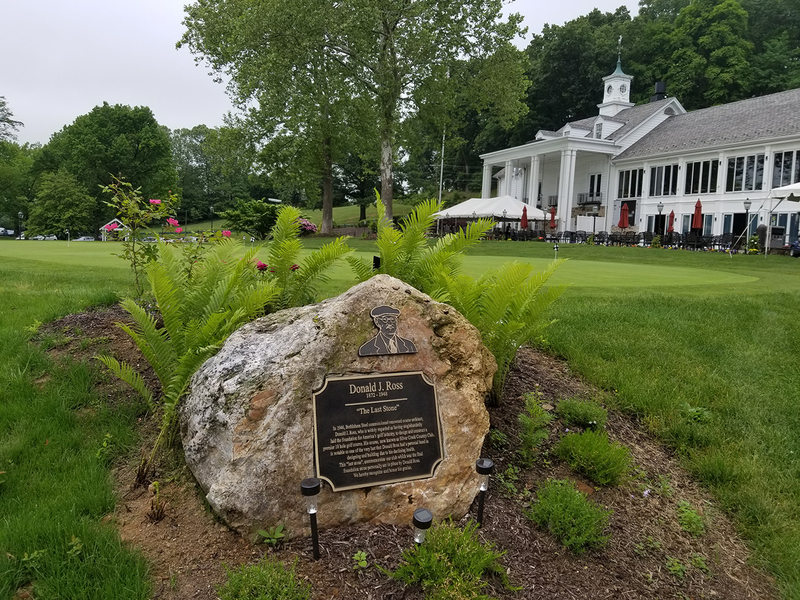 How did disc golf end up at a Donald Ross designed golf course? When Steve Braud heard that the Steel Club may be interested in adding disc golf to their facility, he didn’t hesitate to set up a meeting. In a former life, Braud worked in the golf industry. He started working on golf courses as a part time gig for extra money, but that soon morphed in to becoming a greens specialist and almost a course superintendent before leaving the industry in 2013. Now, he’s back working full time in the golf industry, only this time it is with disc golf. Braud’s familiarity of how golf courses operate, along with the worldwide proven DiscGolfPark product made it an easy decision for the Steel Club’s Tom Butera to say yes to disc golf. From day one, the Steel Club has been all-in on disc golf. Their dedication to disc golf and doing it right is evident from the moment you step on to the first DiscGolfPark TeePad. The TeePads are beautiful, professionally installed turf that make throwing tee shots a luxurious, slip free experience. Around the green, DiscGolfPark Targets serve as both a disc catching device and directional signage. Discmania’s Eagle McMahon, the 2018 PDGA National Tour Elite Series Champion, joined Braud, who served as the DiscGolfPark Designer, to lend some insights on the design. The end result is a massive, world class course that is sure to leave you wanting to empty your bag on nearly every hole. The disc golf course design makes excellent use of the extreme elevation. To go along with the wildly varying elevations, the course tastefully winds in and out of moderately wooded areas that were previously unused by the ball golf course. The Steel Club now finds itself as a prime east coast venue, very capable of hosting large, high caliber disc golf events. To go along with its 8,610 foot DiscGolfPark, the Steel Club has a 27,000 square foot clubhouse. The amenities one site are plentiful, also found on site is an indoor golf center, outdoor pool and multiple dining venues. A Discmania Pro Shop is also in the works.